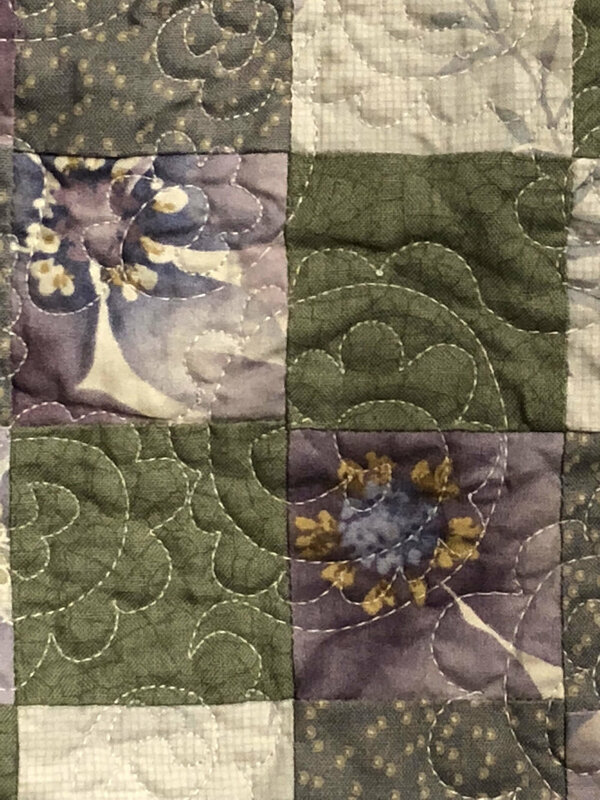 As I announced on this past weekend's podcast episode, I'll be doing a 2014 Quilty Resolutions First Quarter Check-in at the end of March. A few weeks from now I'll ask you to let everyone know how you're doing so far at keeping your 2014 resolutions and I'll choose a giveaway winner from those who play along. 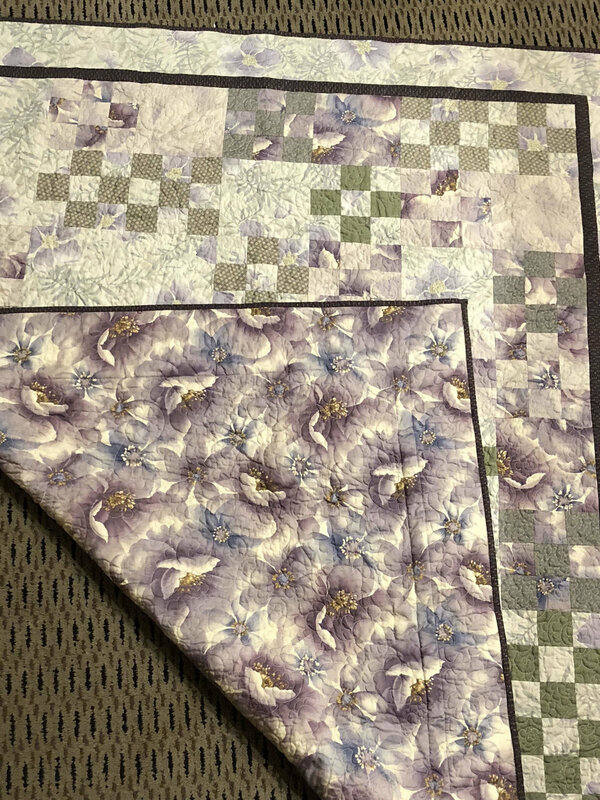 Even if you didn't participate in my resolution challenge, you can report in on your own quilty-related resolutions and how you're doing, and you'll still be eligible for the giveaway drawing. A few of you, ahem, you know who you are, have admitted to me that you can't remember what you resolved. Perhaps next year's resolution should be, "Improve my memory." So here's a link to a public version of the 2014 Quilty Resolutions spreadsheet. I've removed everyone's email addresses and last names for Internet safety. I'm looking forward to hearing how you're doing at our first check-in! How am I doing with my resolutions? Well, as we all know, one of them had to do with Craftsy classes. I've been keeping you updated on that. I'm currently in the finishing stages of Stupendous Stitching with Carol Ann Waugh, and then I really want to get cracking on Thread Art with Lola Jenkins. I already know what artwork I'm going to use and am seriously jazzed! 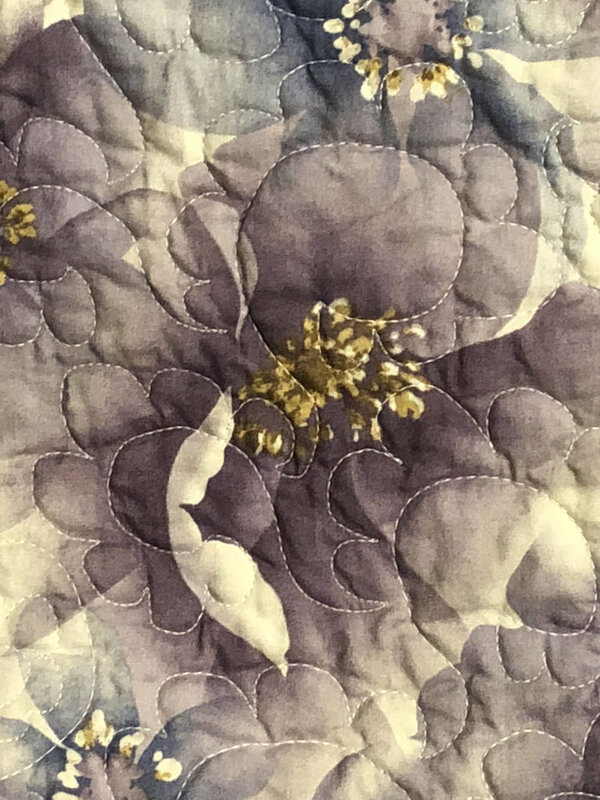 I'm also going to start working on another machine quilting class (which double-dips in my resolutions) but I'm waffling a bit on which one. I own several, and they've all got benefits. I'm watching all the lessons in two of them now to see which one calls to me more at the moment. Eventually I'll do all of them in my queue, so I could really flip a coin. I honestly don't know why I'm waffling. I'll do another update when I post the giveaway blog in another few weeks. What else do I have in progress? I have to do the cutting for my Ami Simms class at Lancaster, and gather all the supplies for my Frieda Anderson class. The first will take a whole lot longer than the second! For the dye class, I already own all the supplies--I just have to pull it together and figure out the simplest way to pack them so they're easy to carry into class. Scrapitude still needs borders (already have the fabric), then I'm taking it to my LQS for longarming--I'll buy backing there. They have a nice selection of wide backing fabrics. 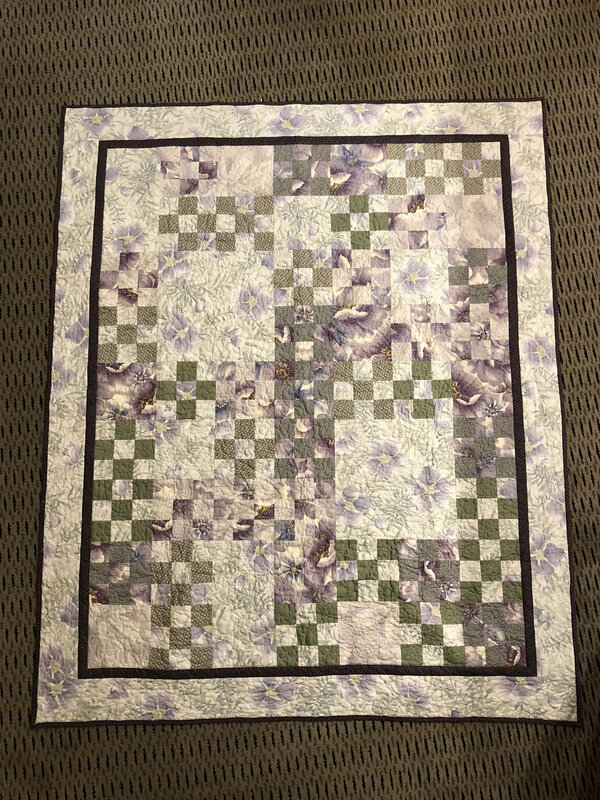 My Disappearing Pinwheel quilt still needs borders, and I'm piecing backing for that one (have fabric for both), then I'm also taking it to the same LQS for longarming. My postcard for Sandi's Spring Postcard swap is in progress but I really need to get working on it as technically it's supposed to be in the mail before March 20 and I'm in Lancaster for a chunk of that time! 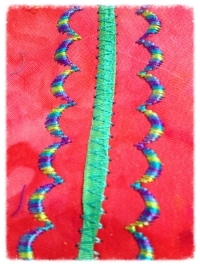 I've got the binding pieces cut for Daisy's Twitter Giveaway quilt top that I won; I just need to get that top bound. I have no idea how this happened. I rarely, if ever, have so many things going at once. I usually shoot for no more than three projects--one in planning or cutting, one at the sewing machine, and one at handwork (binding) stage. I'm feeling a bit overwhelmed with all of this so I'm just staying organized and focused and reminding myself to just enjoy the process. If it doesn't feel like fun to work on something on a given day, I choose one of the other projects to work on. It's all about having fun, not stressing out!